When women are organized and stand together, powerful things can happen; we can change history. I first saw a film about Queen Mother Yaa Asantewaa at the Pan African Film Festival in Los Angeles in 2009. My students were inspired and in awe of this courageous African woman who fought against British colonialism. 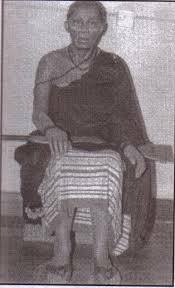 She was appointed Queen Mother of Ejisu in the Ashanti Empire. In March of 1900, Asantewaa led an army that fought against the British in a rebellion that is known as the “War of the Golden Stool.” Although she was captured by the British and exiled, she remains a heroine for her bravery and leadership. Do not be afraid to fight. 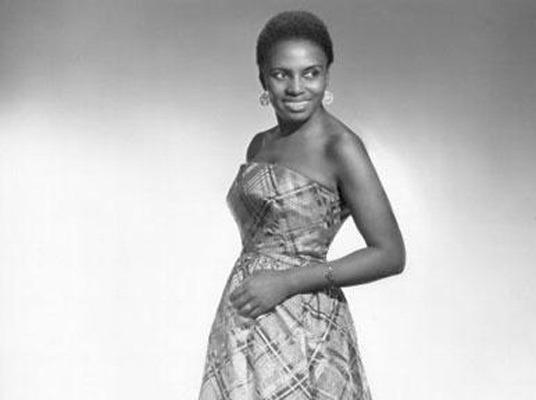 Makeba began her professional career in the 1950’s as a part of a jazz group called the Manhattan Brothers. She left the Manhattan Brothers to record with an all woman group called the Skylarks. Makeba is considered the first singer to popularize African music around the world. She toured and recorded with many popular artists such as Harry Belefonte and Paul Simon. She was an activist as well and campaigned against apartheid. Her activism resulted in a revoked passport and inability to return to her home in South Africa. During her exile, she spoke against apartheid before the United Nations and became an honorary citizen in 10 nations. She was able to finally return to her home in 1990 after the system of apartheid was dismantled. She is nicknamed by many as Mama Africa. Here is one of my favorite moments of her on television speaking about the beauty of Africa. Use your gifts to spread love and fight for what is right. The problem was poverty and deforestation. The solution was to plant a tree. 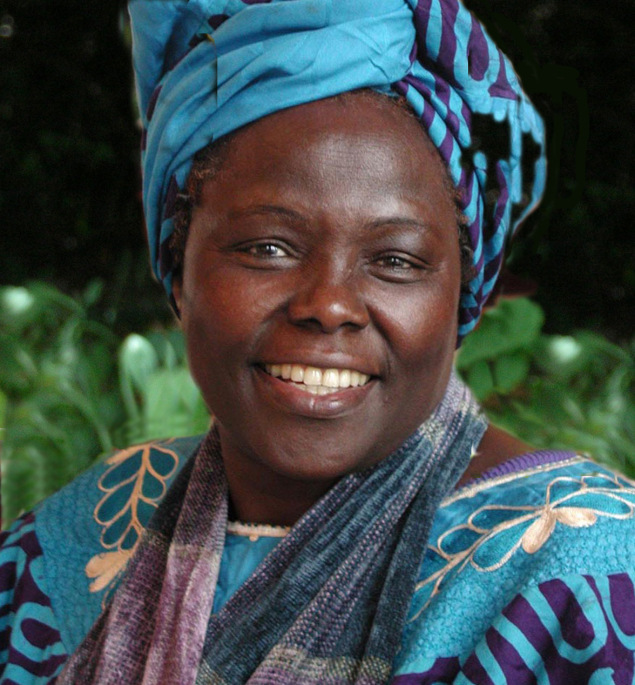 In 1977, Wangari Maathai founded the Green Belt Movement, a non-governmental organization that focused on planting trees and empowering people to combat deforestation and environmental degradation. In 2004, she became the first African woman to win a Nobel Peace Prize for “her contribution to sustainable development, democracy and peace.” Also from 2003-2005 she was an elected member of Parliament and served as assistant minister for Environment and Natural Resources. She is the subject of a documentary titled, Taking Root. There are also a few childrens books written about her such as: Wangari’s Trees of Peace: A True Story from Africa, Planting the Trees of Kenya: The Story of Wangari Maathai, and Seeds of Change: Planting a Path to Peace, Yet, my favorite is Mama Miti in which women approach Mama Miti and come to her with all sorts of problems such as a hunger within the family, homelessness, and sick animals. Her answer to all of them is plant a tree. A tree can grow food, be used to build a home, and provide herbs that heal. Taking care of our environment is important. Use it to empower yourself and other women. Queen Nanny was born in Ghana as a member of the Ashanti people and sold into slavery in Jamaica. As a young girl, she was influenced by the Maroons, Africans who escaped and fought slavery and then created a free community in the interior mountains of Jamaica. After she escaped slavery with her brothers and hid in the Blue mountains, she led many slave revolts throughout Jamaica. Queen Nanny is credited for freeing over 800 slaves and helping them to settle into Maroon communities. In 1976, the government of Jamaica declared Queen Nanny a national heroine. Her face is now on the Jamaican $500 dollar bill. It is not enough to be free ourselves, we need to bind together with community and help others get free as well. As a child, she was kidnapped and taken from her Yoruba home and forced into slavery in Cuba. In the city of Matanzas, she endured the brutal working conditions of slavery on a sugar plantation. 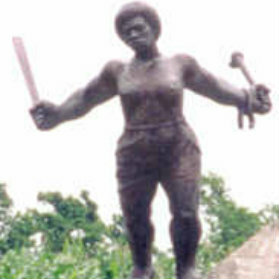 However, in 1843, she led a rebellion at the Triumvarato sugar plantation which freed many people including Fermina, an enslaved woman who helped Carlota plan the rebellion. Carlota continued to to organize other uprisings for another year until she was captured and executed by Spanish landowners. Mason was born into slavery in Georgia and given the name “Bridget.” She was given to Robert Smith as a wedding present. Smith eventually took his wife and enslaved African Americans to Mississippi and then across the country to San Bernadino, California in 1851. Although slavery was illegal in California at the time, Smith would not set his slaves free. Smith had plans to move again to Texas, and keep all his slaves. However, Mason with the help of friends from the Los Angeles Black community, petitioned the courts for her freedom. A judge granted her freedom, as well as the freedom of her children and other enslaved African Americans held captive by Smith. Mason moved to Los Angeles and became employed as a nurse and midwife. She later became the first African American woman in Los Angeles to own property. She continued to purchase and sell property becoming a real estate developer and philanthropist. Don’t let your beginnings determine your end. Of course there are countless women who could be added to this list. Who would you add to the list?